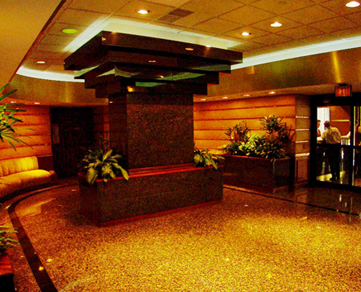 Coveted luxury and unsurpassed service! 800 Palisade Avenue, Fort Lee, New Jersey 07024. 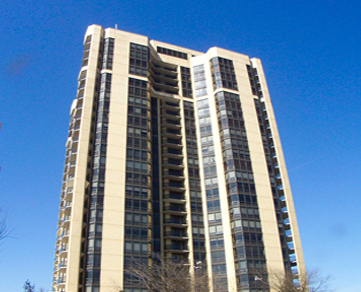 Surrounded by views of the majestic Hudson River, New YOurk, the Meadowlands and Ramapo Mountains, the Buckingham Tower is a regal presence atop the Palisades Cliffs. Just 2 miles south of the George Washington Bridge, and 6 miles north of the Lincoln Tunnel this ideal location affords easy commuting and access to a plethora of shopping, dining and entertainment options. 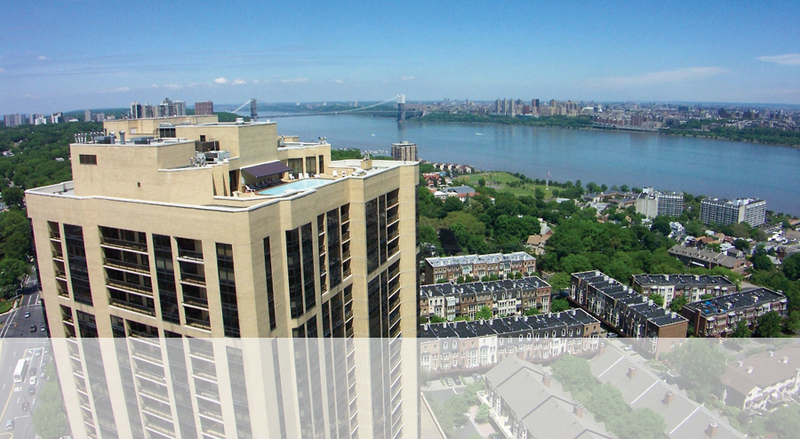 24 story hi-rise condominium atop the Palisade Cliffs overlooking the Hudson River. Built in 1988, # Units-193, Unity Mix-1,2 and 3 bedroom plans located on floors 1 through 20; 2 and 3 bedrooms simplex and duplex penthouses located on floors 21 through 24. 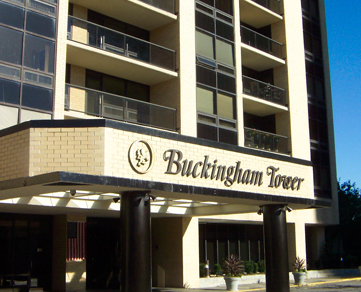 From its inception the Buckingham Tower was destined to become one of the premier condominium towers along the Gold Coast. Well known for its level of services, residents enjoy a white glove lifestyle that pampers and spoils. The attention to detail is apparent in even the smallest design elements. From the short hallways (that require a maximum of 15 steps from elevator to residence door), to the completely separate service entrance and elevator (which keeps deliveries discretely hidden from view). The nine distinct tower floor plans and the six opulent penthouse layouts are the antithesis of cookie-cutter architecture. You are invited to experience what a privileged few have been lucky enough to call home. 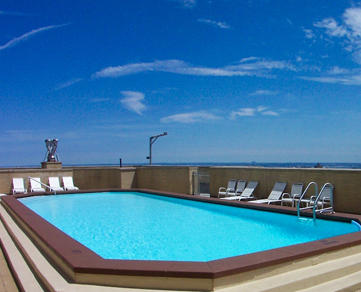 24-hour doorman, concierge, valet garage parking for residents and guests, porter service, Sky Suite (rooftop pool, rooftop party room, state of the art fitness center), on-site management office, storage bins on each floor. Copyright © The Chen Agency Realtors.